AMH & Fertility: What you need to know. AMH (anti-Mullerian hormone) is the hormone secreted by the granulosa cells of the antral or resting follicles in the ovaries. AMH levels are typically measured by a blood test, but to have an accurate measure of egg quantity, it is important to have an ultrasound to actually count the antral or resting follicles. Antral follicles are small follicles (roughly 2-9 mm in diameter) that can be seen – and measured and counted – with ultrasound. AMH blood levels and the number of antral follicles are a measure of ovarian reserve or egg supply for the future. A low (or very low) AMH result indicates reduced fertility, while a high result may indicate PCOS. The result must also be considered in the context of a woman’s age. 1. A low AMH level does not mean that the quality of the eggs that remain is also low. 2. A blood test result number is not telling you exactly how many eggs you have left. For example, a result of 0.5, this does not mean that the eggs you have remaining is 1/2 an egg. I think it will be helpful to read the following from Jessica Bourke of HerFamily!. She shares, “The latest research has found that AMH levels can vary significantly, depending on what point in the menstrual cycle the blood sample was taken. In some cases, the result differs by up to 60 percent, which is a huge discrepancy and proves there is a dire need for further research in this area.” There have even been studies indicating dramatic differences in AMH levels depending on the ethnic group being tested. It is important to point out that even with a low AMH result, in many cases, there could be an egg count in the hundreds. I remind you that the AMH test doesn’t tell you anything about egg quality. An AMH blood level test without an ultrasound for actual antral follicle count is only an approximation of the remaining number (quantity) of eggs. If you’ve been told your AMH is low, please remember it is only one part of the fertility puzzle. A couple’s fertility potential is determined by so many other factors, and the AMH score is only one of them. If your AMH level is low, there is still a chance you will go on to have a baby! We want you to feel empowered to choose natural therapies for support and to have a positive outlook! Q1: Hi! I had 3 kids naturally… My youngest is just over 1 now. I went to get my AMH tested and it was very low! I couldn’t believe it. It was tested on day 26 and I just stopped breastfeeding. Could this have anything to do with it? I want more children and now I’m anxious! A: I’m sorry this is concerning! Anything that disrupts the hormones involved in the development of follicles and AMH secretion can cause low AMH. Breastfeeding through the stimulus of the baby suckling suppresses fertility by nature for a varying amount of time for each woman who breastfeeds. The high steroid levels of pregnancy first suppress fertility and after birth, there is often that period of inhibited ovarian activity associated with limited follicle growth (due to breastfeeding). Given that we know that AMH is the hormone secreted by the antral follicles during a “regular” menstrual cycle and follicle growth is likely to be suppressed while breastfeeding and perhaps for a bit of time after, this could be part of why your AMH test levels came back low. To be honest, it may be best to give your body some time to readjust now after stopping breastfeeding, and after having seen several “normal for you” cycles in a row, consider a retest. Q2: What would someone use to help increase follicle size? A: Hormone levels that fluctuate throughout the cycle and ovarian response need to be taken into account when looking at follicle size. Are they growing slowly and at what point in the menstrual cycle was follicle size observed? 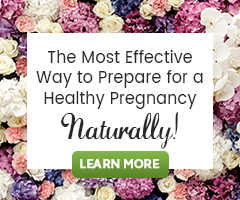 Do you have a known fertility health issue? The hormone estrogen is the prime factor in increasing follicle size prior to ovulation (and in the building up of the uterine lining). Making sure that estrogen levels continue to rise throughout the cycle is a key, yet there may be more to consider. fertility cleansing to set the foundation for hormonal balance and a healthy uterus for implantation. nutrition – essential fatty acids (EFAs), dark green plant foods, bee pollen, etc., all to support endocrine system health. herbs like Vitex (Chaste Tree berry) and Maca (Lepidium meyenii). natural therapies like fertility massage and acupuncture. a 90-day egg health program (that can be followed longer). Herbs, nutritional supplements and natural therapies are best able to support the body when stress is managed and a healthy weight is being maintained through a healthy, whole food Fertility diet and moderate daily exercise.